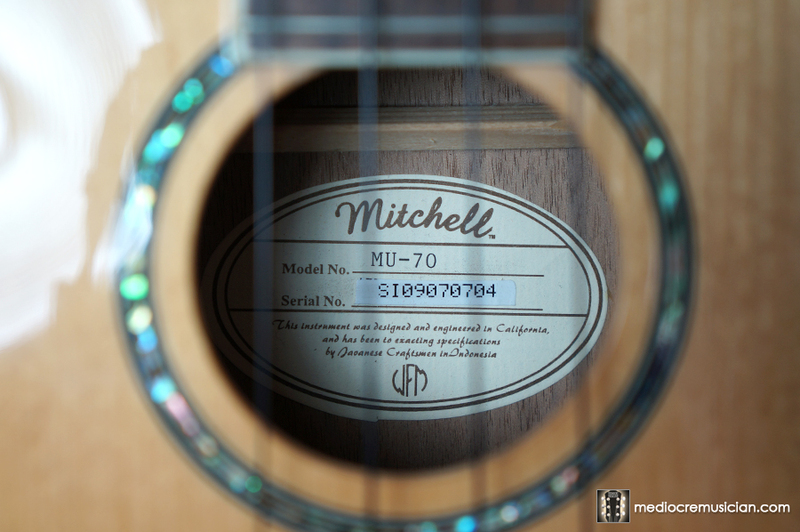 The Mitchell MU-70 is a 12-fret concert-size ukulele. 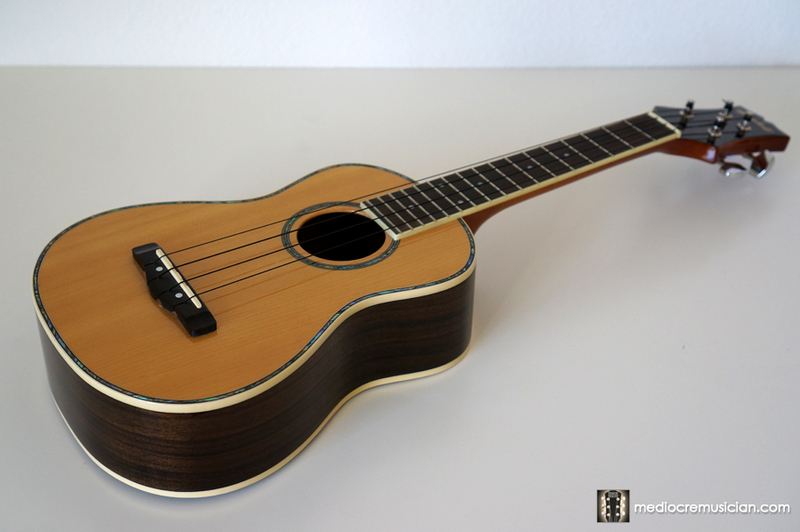 It features a laminated spruce top, and laminated rosewood back and sides. The fingerboard is also rosewood, with mother-of-pearl dot inlays. It has open-back tuners (more about those below), and a handsome abalone rosette and binding. 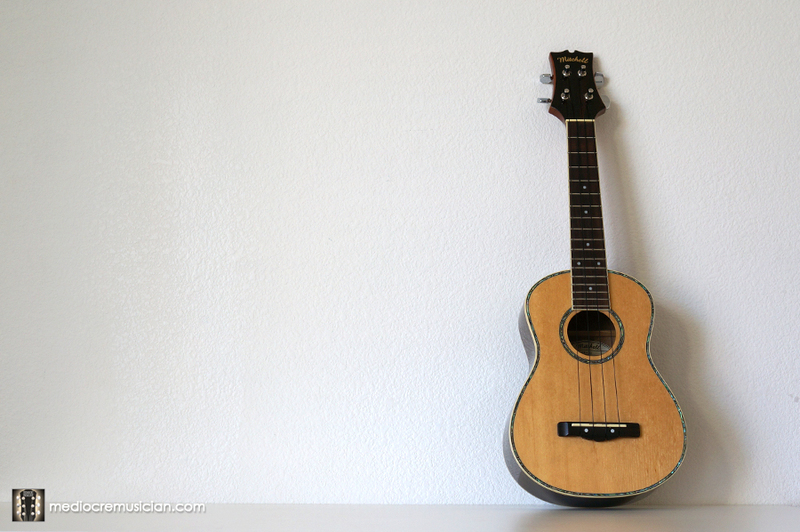 This ukulele certainly looks the part. The glossy natural wood color looks great, and the abalone inlay is a nice touch. I also really like the fact that the head has some character and shape to it. The MU70 definitely feels solid (probably in part to the heavy gloss coating). It has some heft to it, even for its size. 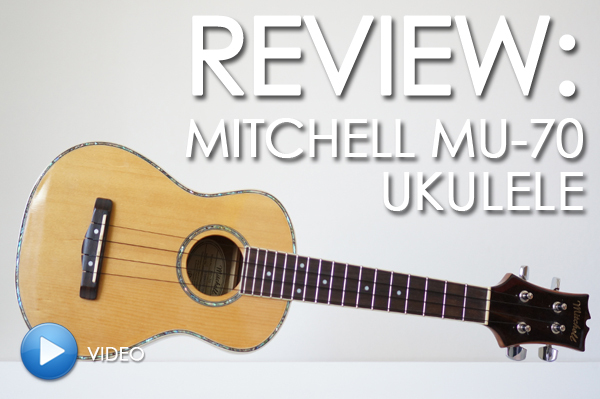 It doesn't have any creaks or flex, nor does it feel brittle like some of the cheaper ukes out there. 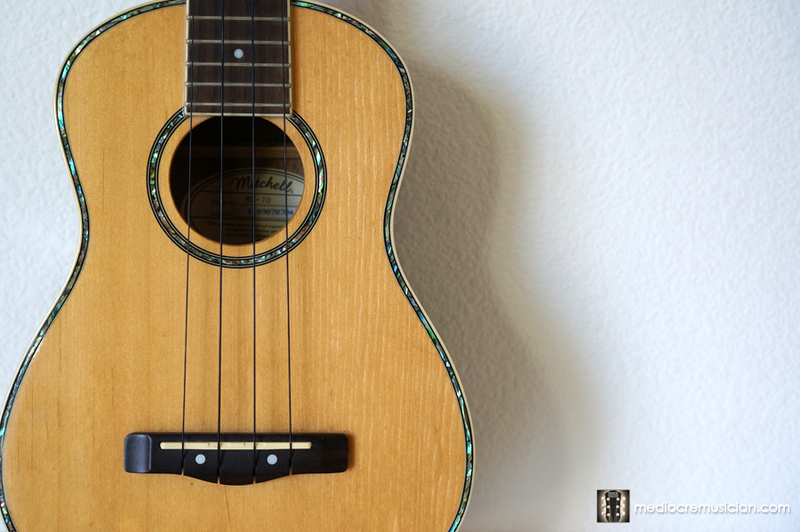 It feels like a uke that you could toss around and it would hold up well to the punishment. While all that gloss makes it look good, it also makes the uke feel kind of cheap and "plasticky". 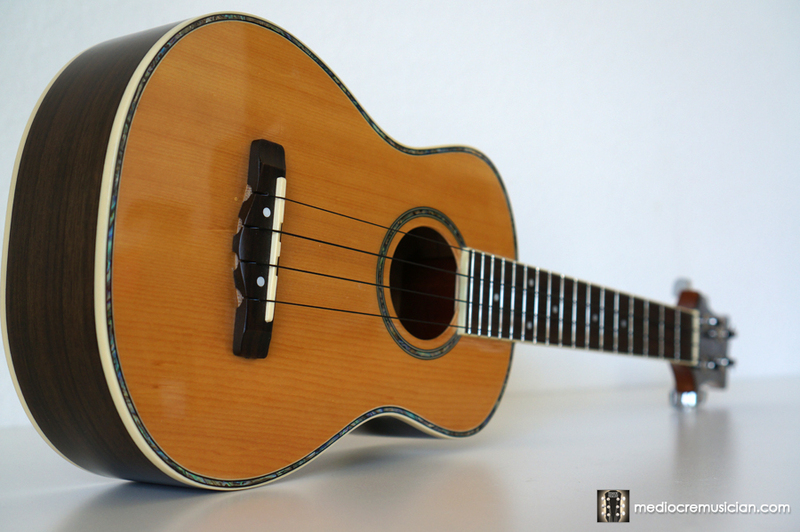 Overall, it's a nice little uke. (And again, there's just something about it that makes it easy to pick up, and hard to put down.) It's certainly worth having around if you can get a good deal on one, or if you happen to get one as a gift. Who would I recommend this for? Beginners who want something robust--particularly younger learners with smaller hands and who might be a little "rougher" with the instrument than they should be. 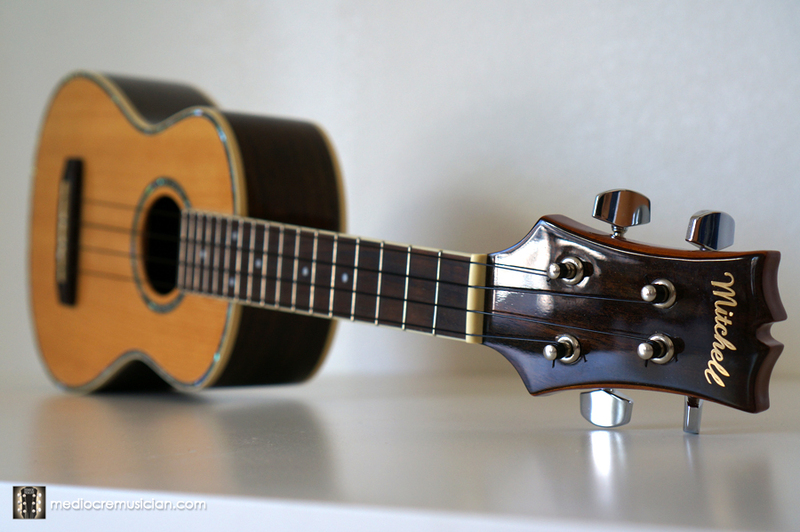 This uke will hold up.